I wanted to share this video with you guys because I feel like Mr. Galper's concept of the the musician being the actual instrument is incredibly important. There are two extensions of this idea that I think are particularly relevant and useful for drummers. You are going to sound like yourself, no matter what you are playing. This can either be discouraging or encouraging depending on your perspective, but either way it is the truth. I see and hear fellow drummers spending an extraordinary amount of time, energy, and money on their "gear". Often times drummers come up to me after shows, and the first question they ask is, "What are you playing?". My typical response is, "Jazz". This is not a glib or sarcastic response, it is genuine. 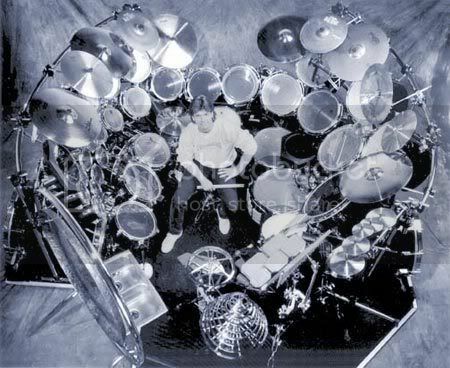 I don't really think that much about my drums, they are very secondary to the music in my perspective. So when someone asks me a question like that, my response is always the first thing that comes to mind. Just to be clear, I do think that a nice instrument can help you sound and feel better about your playing. I distinctly remember the pleasure of playing my first gig with my beautiful Bosphorous ride cymbal. I am not trying to say that your instrument doesn't matter at all, rather, that no instrument is going to make you sound different than you. If you want to get better, worry about practicing harder, not about your "gear". One of the big logistical problems that drummers face is finding practice space that can accommodate our noisy, noisy instrument. People go to incredible lengths to sound proof rooms, commute ridiculous lengths to use space, or even invent new instruments like electronic drums to overcome this problem. All of these are valid and important solutions. But the big point that Mr. Galper is making in the video above is that the most important practice has to occur in your mind. Mental practice is something that can be done at any time and in any place. One good example of productive mental practice is trying to transcribe something aurally away from the drum set. Essentially, trying to sing, memorize, and map a solo onto the drum set entirely in your mind. Although this can be an incredibly frustrating way to practice at first, you will be amazed how much progress you can make away from the drums. Again, just to be clear, actually physically playing on the drum set is still vitally important. The point here is that mental practice is something that can both augment your available practice time, as well as develop your skills when you can't get to the drum set. I will try to post some examples of mental exercises that I use some time in the near future.